PHOENIX — Arizona Gov. Doug Ducey on Friday welcomed the arrival of a fleet of Uber self-driving cars delivered via a self-driving truck that transported them from California. Ducey's office says the governor welcomed the truck carrying the self-driving Volvos at the State Capitol in Phoenix. Uber announced Thursday that it was shipping the cars to Arizona after they were banned from California roads over lack of required permits. Uber made the announcement after Ducey on Wednesday and Thursday promoted Arizona as an alternative to California for the ride-hailing company to test its self-driving cars. 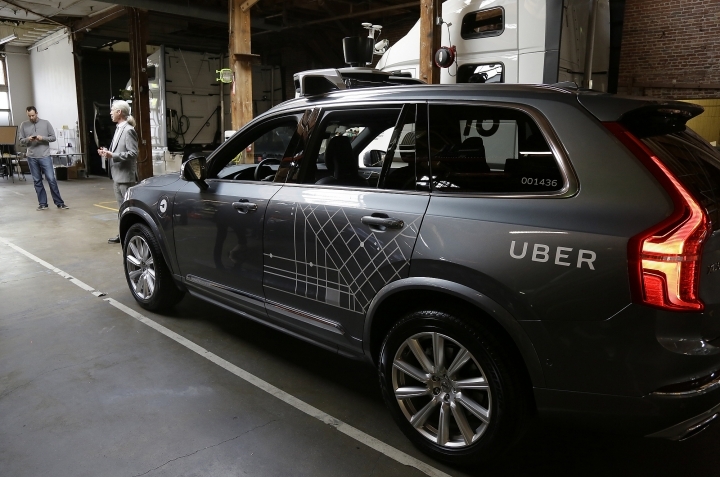 Uber has not announced when the cars will be tested, nor provided details about how many vehicles arrived in Arizona. Uber previously had 16 self-driving cars registered in California. This story clarifies that Uber's self-driving cars were banned in California because they lacked permits, not solely because of safety concerns.